Take a trade war with China, mix in frosty economic relations with Canada and Europe, add in Federal Reserve rate hikes and here’s what you get: A recession by 2020. He told CNN Business that President Donald Trump’s protectionist policies may lead to a deep slowdown in the economy, particularly because these trade skirmishes coincide with rising interest rates. 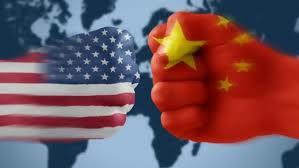 But it’s likely that the United States is overestimating how much China needs to import from America, he said. China has more options than it once did, and the Trump administration’s hardline stance makes a prolonged stalemate more likely. Temple said that the United States — as well as the rest of the world for that matter — do have legitimate grievances with China, particularly when it comes to China’s intellectual property theft and stringent restrictions on foreign companies doing business there. That’s why Temple is worried about the Trump administration’s tough treatment of allies. Temple isn’t the only one worried about the potential impact of even chillier trade relations between China and America. Nixon, like Temple, said that the combination of a nasty trade spat with China and the Fed’s rate hikes could jeopardize the US economy’s impressive growth streak. “The Federal Reserve is in the process of unwinding one of the biggest monetary experiments in US history,” she said, referring to super-low interest rates for the past decade. That means there is a real risk that the Fed could raise rates too quickly or too much. That’s likely the reason why President Trump has been criticizing the central bank so much lately.